(C) Some students with knowledge of FANTOD are possibly placed at a disadvantage in the college admission process. For each critical reasoning practice question, follow the link. Re-enter your answer and submit it, and the subsequent page will have a full video explanation. It’s a HUGE assumption to think that there are “photocopiers and laser printers” in the offices referenced in question #2. I personally work for a company that has neither. I thought the whole point is make NO assumptions. Do we assume “common sense” things … like other colleges also having requirements for the SAT for those cheaters… (question 4) or not? You’re right about this in the sense that it would be a bit of a leap to assume that there would be photocopiers and laser printers in every office owned by BCC. But remember– BCC owns many different office spaces throughout the United States. And photocopiers and laser printers are still relatively common. If you took a sample of numerous office areas across the U.S.– such as the sample owned by BCC, you’d also find a significant number of offices that do have copiers and laser printers. In other words, if it’s a leap to assume all of these offices have copiers and laser printers, then it’s also a leap to assume that none of these offices would have them. It’s much more likely to assume that some of BCC’s office spaces have these common pieces of office equipment, while others do not. 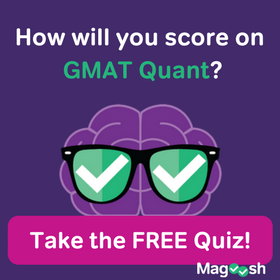 Additionally, you need to remember that in GMAT multiple choice, you want to pick the best answer, not the perfect answer. And D is the answer that works the best, among the answer choices given. Why cant A be the answer to Qno 2 …. D seems to be out of scope as the statement mentions degradation of carpet from laser toners and cartridges.. while in statement A , carpets are transported by train from coast to coast which seems to be a valid reason. Yes, #2 is a tricky question. Did you follow the link to the video explanations? The full explanations are given if you follow those links. We are told that “the bid contract involves all delivery costs, all installation, and any ongoing maintenance and upkeep …”, so BCC already calculated all of this in its bid. Yes, the transportation from the factory would likely be costly, but that’s already considered in the bid — obviously, the folks at BCC have to know where their carpets are made! — so those transportation costs would be factored in. Even with this cost, the folks at BCC believe they are going to make a profit. That’s why (A) is not a valid weakener. Meanwhile, in (D), we find that standard toner damages the carpet. Well, almost every office has either a laser printer or a photocopier, and it’s quite conceivable that toner occasionally will spill on the carpet. Well, whenever toner gets on the carpet, that part of the carpet needs to be replaced, and BCC is on the hook for this — they are responsible for “any ongoing maintenance and upkeep.” Moreover, it is quite possible that this is cost BCC was not anticipating — unlike the location of their own factory, this fact involves things not under their own control. Choice (D) is definitely well within scope, and it is the most powerful weakener here. Thanks Mike for the quick reply, really appreciate it. For (A), I was taking into consideration the hike in transportation fares for 3 years, which might be a factor for BCC. But I agree (D) seems to be the most powerful weakener here. 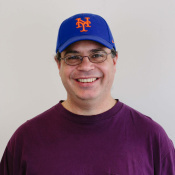 Thanks Mike once again, I am trying to get my reasoning skills right. I think luck also matters in reasoning questions, where u hope to get the right reasoning answer to that question. You are quite welcome. 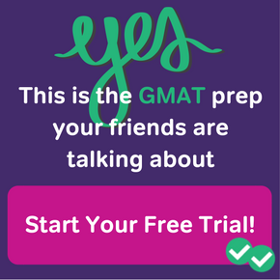 🙂 I assure you, in GMAT CR questions, there is absolutely no luck involved — mastering the GMAT CR is completely a matter of learning skills. At Magoosh, we teach those skills. Best of luck to you, my friend. Why not E in question 4 ?? I know C is right but E is also right , one can’t deny it…. 🙁 I am tired of making mistakes , i always choose the tempting one , always get stuck between two , specially all the GMAT CR questions , i have tried. I was doing well in GRE CR questions but here all seems to be too elusive. Think very carefully about what we know. We know from the argument that, “some colleges have discounted the official SAT scores of applicants with a knowledge of FANTOD, and have required them to take special admission tests in supervised conditions on their own campuses” So, some colleges are making a major move toward the student who know FANTOD. What are the rest of the colleges doing? Are some of the rest doing nothing at all? Maybe, maybe not. Perhaps the rest of colleges have raised the SAT score requirement for folks who know FANTOD. Maybe the rest count the SAT general test for a little bit less and the SAT subject tests for a little bit more for applicants who know FANTOD. There are many minor adjustments that colleges could make, and probably some of the school that are not taking the major step cited are making one of these minor adjustments instead. Are there some schools that are doing absolutely nothing, treating the folks who know FANTOD exactly the same as anyone else, as (E) suggests? Maybe. Certainly, that’s a plausible conclusion. If I were a betting man, I would tend to bet on that possibility — it’s very likely. BUT, and here’s the important thing: we don’t absolutely know. And if we don’t absolutely, 100% know, then we can’t call it a conclusion on the GMAT CR. For the GRE, the argument questions are just mixed in with Reading Comp. 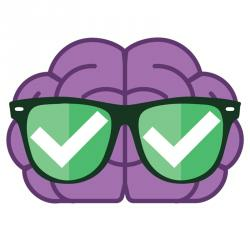 I believe the GMAT arguments are a little trickier than the GRE arguments, and the LSAT arguments are absolute mind-twisters, much harder than those on the GMAT. 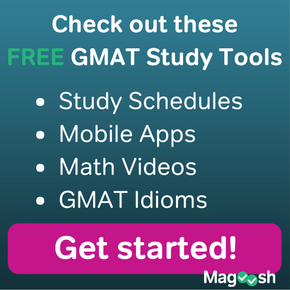 If you can reliably do LSAT arguments, then the GMAT CR will be easy. Thanks Mike for the quality set of questions.